Before I start I would like to acknowledge the traditional owners of the land on which I write this post and pay my respects to elders both past and present. When I googled Australian Indigenous Female Filmmakers the top suggestion bar, where they have the pictures of said persons, sported a grand total of 5 women. This couldn’t be further from the truth and so in my own way of celebrating NAIDOC (National Aboriginal and Islanders Day Observance Committee) Week here in Australia, I’m going to take you through some of the films by 10 brilliantly groundbreaking Indigenous Australian women filmmakers. Essie Coffey, born in 1941, was a Muruwari woman who was a part of many Aboriginal and government bodies throughout her life which focused on preserving the culture and rights for Indigenous Australian’s. She was also a filmmaker and in 1978 she made the film My Survival as an Aboriginal which depicts the struggle with assimilation and loss of identity. It was the first documentary made by an indigenous woman and was also a gift to Queen Elizabeth II at the opening of Australia’s new Parliament house in 1988. Essie died ten years later in 1998 but not before making the sequel to her first film My Life As I Live It in 1993. Tracey Moffat is more widely known as an artist but commonly uses photography and moving image in her work. As part of this she has directed a number of short films including Night Cries: A Rural Tragedy (1990) and Nice Coloured Girls (1987). In 1993 she directed her first feature the supernatural anthology film Bedevil and has since returned to making short art films. Coral Edwards directed 2 short films as training exercises for the (then) Australian Institute of Aboriginal Studies in Canberra in 1981. They were filmed on super 8mm and looked at the New South Wales policy of taking Aboriginal children from their families and putting them in institutions run by the Aborigines Welfare Board. Oomera was one of these children. Its A Long Road Back can be watched on Vimeo via the link here. Darlene Johnson is a writer/director who’s previous works include the documentaries Stolen Generations (2001), Gulpilil: One Red Blood and Following The Rabbit Proof Fence (2002). She also directed the short Crocodile Dreaming in 2007. Most recently in 2017 Johnson was selected to be a part of the Screen Australia and Australian Directors Guild (ADG) shadowing Program. 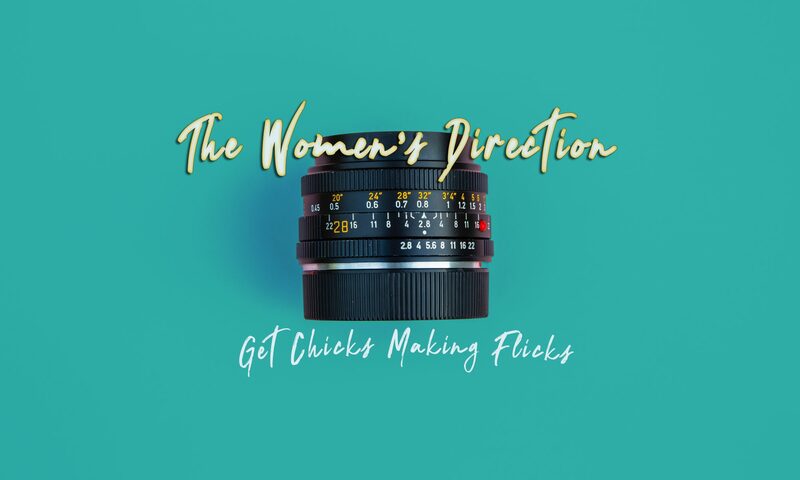 The Shadow Directing program was created by the ADG with funding from Screen Australia’s Gender Matters: Brilliant Careers initiative to get more women directing Australian TV drama series and serials over the next two years. Darlene Johnson said, “As a Koori woman I am thrilled to be the first participant of the Shadow Directing Scheme. It’s such a fantastic opportunity to be attached to one of Australia’s most iconic serial drama’s and to be exposed to such a diversity of talent, technique and approaches to the task of directing”. Probably one of the more well known Indigenous film directors with an impressive body of work. Her most recent film Jasper Jones, an adaptation of the book, was very well received and previous to this she has directed films such as Radiance (1998), One Night The Moon (2001) and Bran New Dae (2014). Currently she has completed directing the Tv mini-series Mystery Road broadcast on the ABC. Sally Riley directed two short films Fly Peewee, Fly! (1995) and Confessions of A Headhunter (2000) and since then has moved on to executive producing some of the most popular Australian TV to date including Black Comedy, Janet King, Cleverman and Glitch. In 2016 she was appointed the ABC’s Head of Scripted Production. Catriona has directed a handful of shorts, tv episodes and features including episodes from Dance Academy, My Place, The Secret Daughter and Redfern Now. Her first feature film Satellite Boy came out in 2012 and tells the story of Pete who lives with his grandfather in an old abandoned outdoor cinema in the desert. The film won two special jury mentions at the 2013 Berlinale – Generation Kplus Programme, and best feature film at the imagiNATIVE Media Arts Festival. Larissa Behrendt is a documentary filmmaker who made a series of long and short documentary pieces since 2013 including Innocence Betrayed, Valadon, Clan and most recently After The Apology. She is currently a Law Professor at the university of Technology in Sydney. Leah Purcell is a multi-talented actress, writer and director. she has acted in well known Australian films such as Lantana and Last Cab To Darwin but her directing credits include the documentary Black Chicks Talking (2002), which was part of a larger body of work of hers including a book and theatre piece that featured stories of real indigenous women from a variety of backgrounds. She also has directed episodes of popular TV series Cleverman, The Secret Daughter and Redfern Now. Dena’s first film was a documentary short called Cheeky Dog in 2006. Shortly after in 2008 Dena wrote and directed her second film Hush, a five minute narrative film which won the audience award for Best Foreign Short Film at the 2008 Films de Femmes, Créteil France. Then in 2009 Dena premiered her third short film, Jacob, at Message Sticks Indigenous Film Festival, followed by the Melbourne International Film Festival. The film won Best Short Drama at the 2009 WOW Film Festival and took out the Gold Shorts Prize at the 2009 Adelaide Shorts Film Festival. Since then she has directed two more shorts Eight Ladies in 2011 and Nan and a Whole Lot of Trouble in 2015.